When Josephat greeted us with a melt-your-heart smile and an energetic “karibu sana,” Swahili for “welcome” we had no idea of the magic that awaited us. The last five days of this iconic East African adventure has been like something out of a movie and when I was absolutely positive that things couldn’t get better – they did. We have just arrived at what I that I think is quite possibly the MOST beautiful place on earth. Today, where I stand right now, is the very pinnacle of our trip so far… and in fact of my life’s travels to this day. 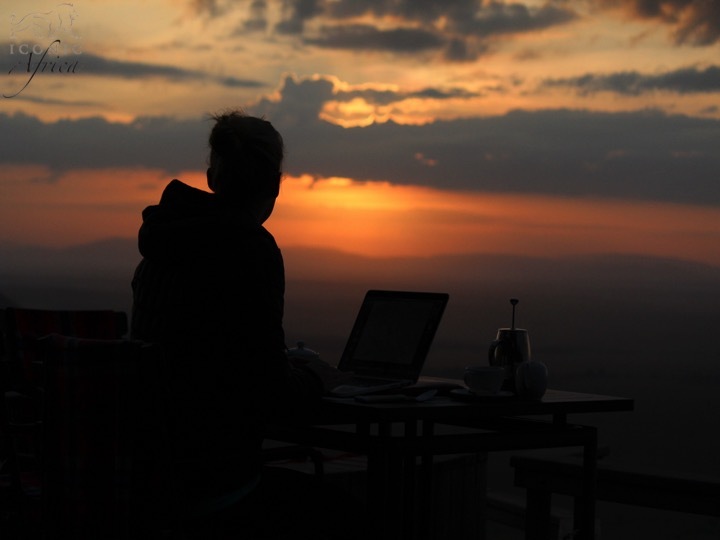 If you are a lover of Africa, then it is quite simple, Angama Mara is one place you have to go. Walking out onto the deck will do more than take your breath away. 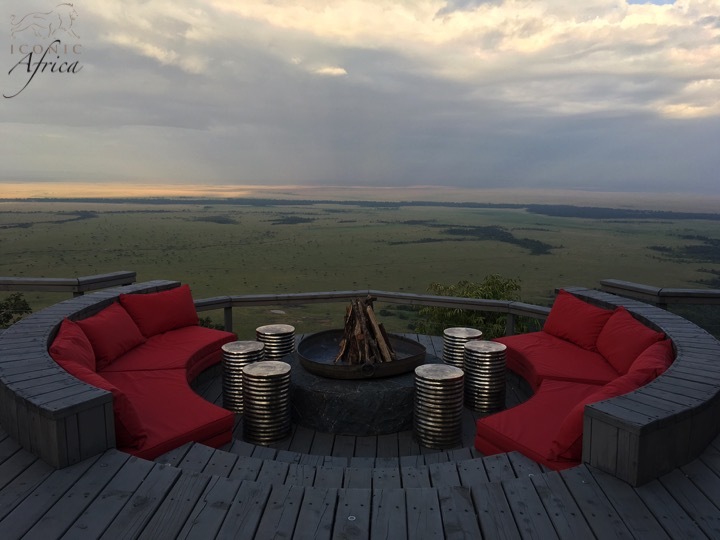 As you stand “Angama Mara,” Swahili for “suspended in mid-air,” with Africa’s canvas spread out below you… life is complete. There is not a thing, a person, a place or even a feeling that you want for; as it’s all there right before you… stretching out as far as the eye can see. I’ve never been happier, more proud to be African and more desperate to share an experience with others. I literally have no words… I am done! We stand at the very position that the Sydney Pollock masterpiece “Out of Africa” was filmed 30 years ago. The very image, that has for decades epitomised the African dream in the hearts of millions of people. 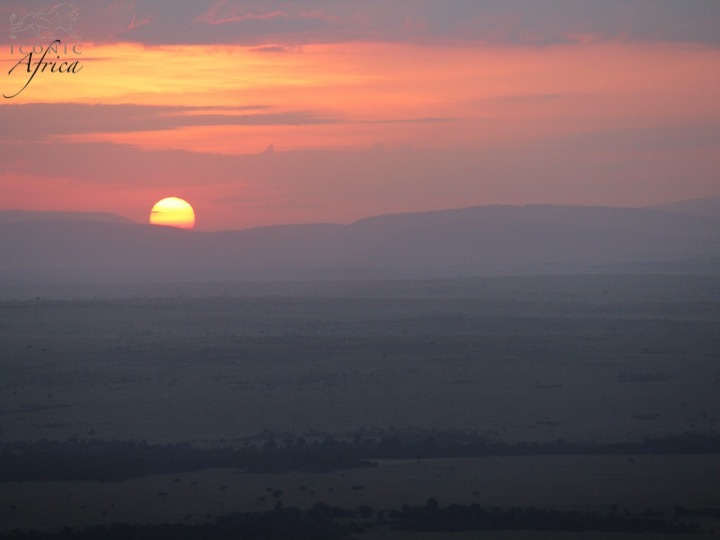 The Masai Mara, Swahili for “spotted land,” Africa’s most iconic and most visited safari destination lies stretched out before us. I pinch myself a few times and I think, “can this be real?” The delight in my heart is overwhelming, the peace wholly encompassing and even though it is real it still feels impossible, inconceivable that such a heavenly place exists on our planet. A view that we can be certain has been unchanged for hundreds of years. Beneath bright blue skies the wide-open plains are dotted with desert thorns, elephants, giraffe, zebra, topis, wildebeest, buffalo…all of which are simply visible with the naked eye. Who knows what else we shall find later today as we head out towards the Sand River in the hopes of coming across the great migration. A wave of guilt overwhelms me as I sit staring at my laptop as the sun peeks over the horizon. In fact, it is an insult to the landscape, people, plants and animals that surround us. For now I must stop, but I will come back and tell you more. I have a game drive to go on, an entire world of exquisite Kenyan bushveld to explore and its epic animals to meet. I haven’t even touched on the unbelievable experience at this world-class lodge or the ones that have preceded it. But for now, these few pictures will hopefully help you to understand my conundrum and forgive me for the brevity of this post. Until then, Hakuna Matata – “no worries,” because the truth is, worries simply don’t exist in a place as beautiful as this.